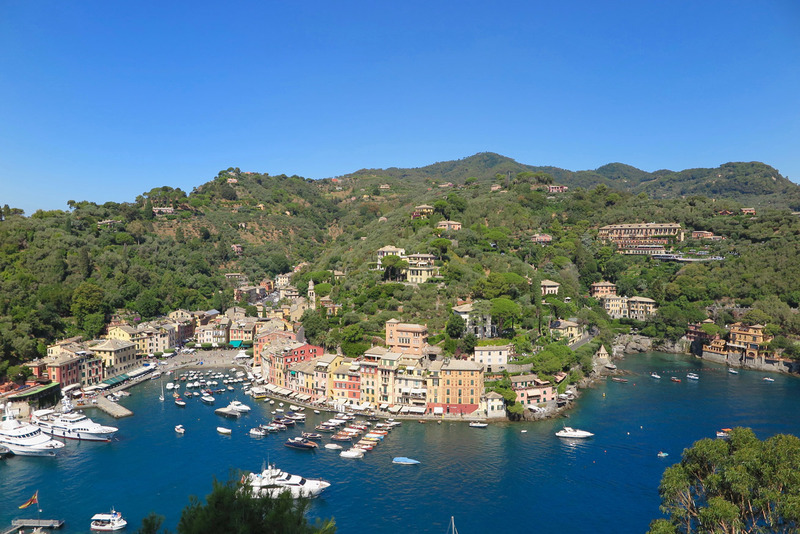 Portofino is one of the most magical places I have travelled to. It’s so beautiful and the entire town looks like it has been painted, so colorful… Really picturesque. 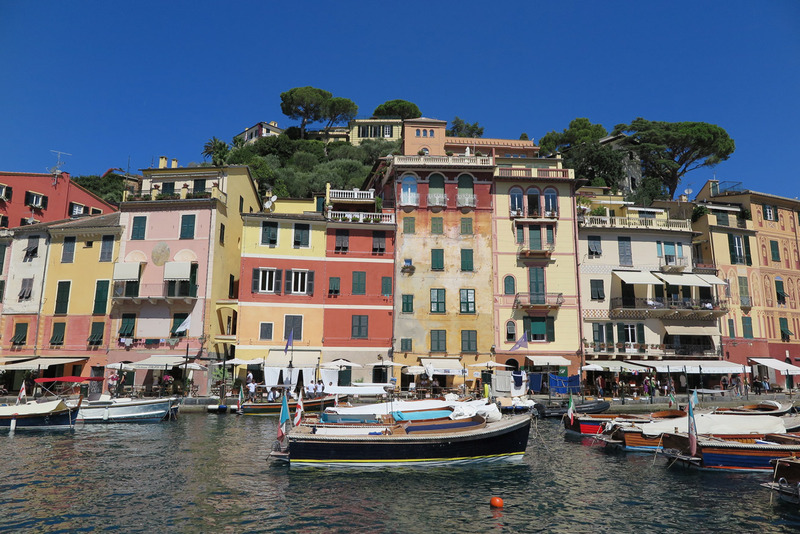 Portofino is a wonderful experience to be savored and I can’t wait to share my recommendations with you! Hotel Belmond Splendido is a glamorous paradise along the Italian riviera. 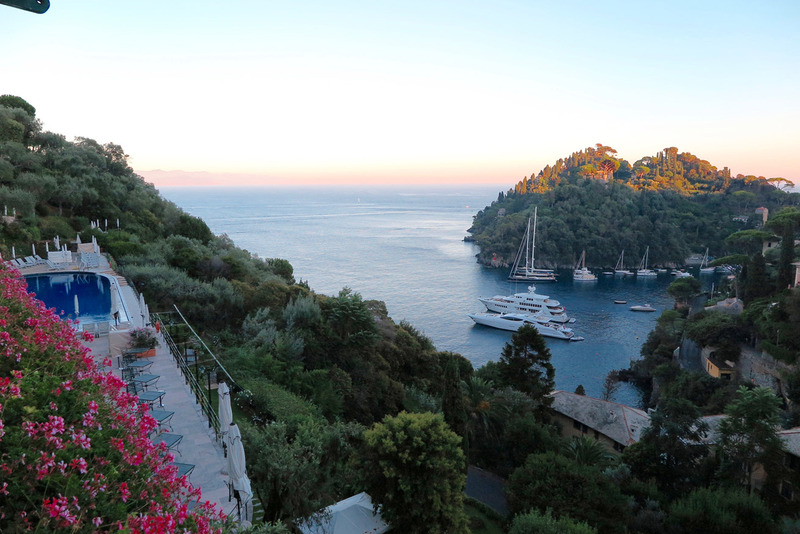 Belmond Hotel Splendido is situated on the highest point of the hill above the bay of Portofino. Belmond Splendido Mare is a smaller hotel located in the heart of Portofino, just steps away from the main piazza and harbor. The suites come with private balconies offering superb views out to the sea. I would recommend to book a suite at the first location I mention above which is on top of the hill. The views are spectacular and the hotel is larger than the one near the sea. If you stay at Spendido Mare be aware that the spa, tennis courts and panoramic swimming pool are at the other location on top of the hill. It is only a 5 minute Vespa ride but trust me it is slightly more beautiful just because of the gorgeous views and the most spectacular restaurant – La Terrazza which I will cover below. I highly recommend renting a boat for the day and exploring the Italian Rivera. We found a quiet bay along the coast and stopped for a swim. After we went to a restaurant that a friend recommended and it was only accessible by boat. La Cantina in San Fruttuso – it’s the perfect spot for lunch over looking the sea. Although the setting is amazing, the food can be quite mixed. 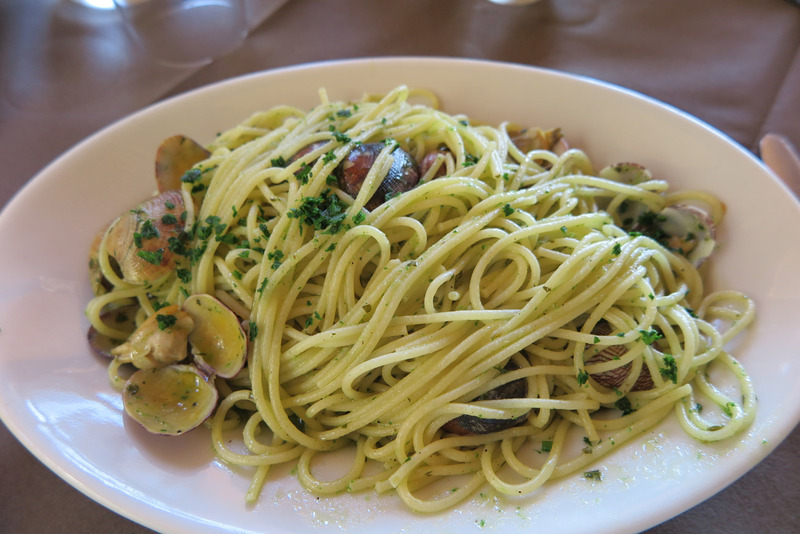 The spaghetti with clams was really delicious but some of their other dishes were hit or miss. 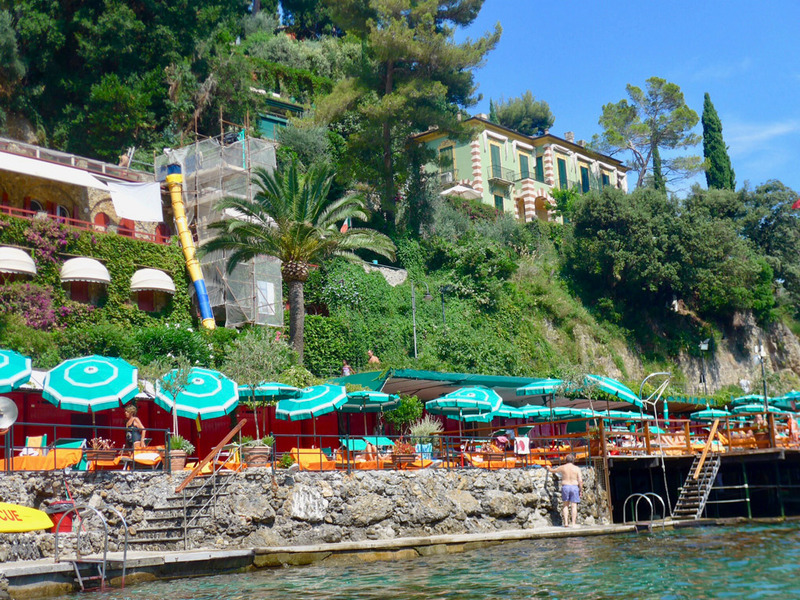 Capo Nord – this beach club is located 2 minutes outside of Portofino. They have lounge chairs that people can lay onto and also a separate lunch area. Personally, I loved it for catching some rays near the sea but the food wasn’t my favorite of the trip. Chuflay Restaurant and Bar – beautiful views of the sea with fine Italian cuisine at the Belmond Splendido Mare. Make sure to try the eggplant parmigiana and the Portofino special pesto pasta – out of this world! 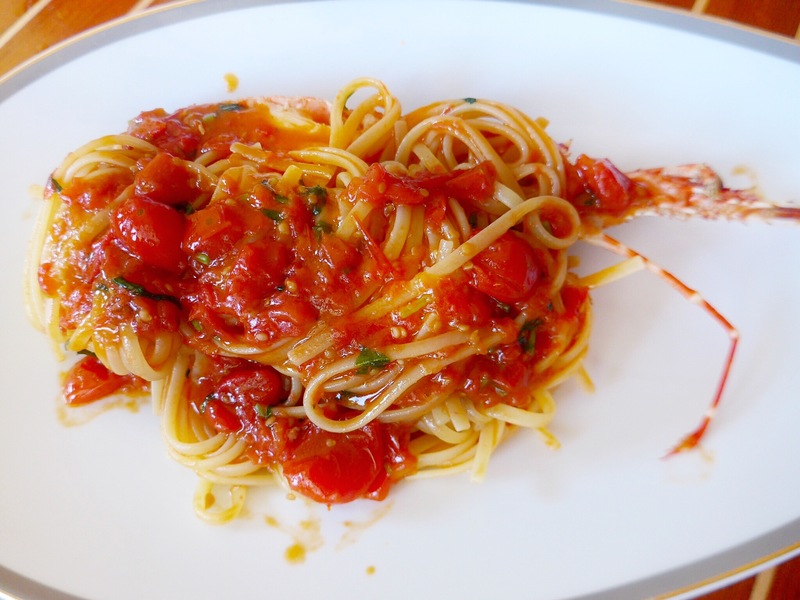 Langosteria Paraggi – one of my favorite lunch spots that is only a 5 minute drive from the Belmond Splendido. Langosteria is on the beach, so you can book beds and lay out before or after lunch. The seafood is exceptional. We tried the red prawns sashimi style (super fresh), salmon with avocado carpaccio, and mixed green salad with prawns for starters. For entree we had the most delicious lobster linguine and I highly recommend it. The lobster was cooked to perfection! Da U Batti – charming spot that is tucked away in an alley near the marina. It is well known for the shrimp scampi! A must try if you have time for lunch in Portofino. Ristorante de Gennaro – casual pizzeria located in the marina of Santa Margharita. La Terrazza – the most beautiful and romantic scenery for dinner. I am in love with this restaurant. The food is delicious, the view is magnificent and the air is filled with piano music. Super romantic & live music after dinner in the lobby bar. Make sure to ask the restaurant manager to reserve you a table near the piano. Vladi always likes to get the guests involved in making music whether it’s singing your favorite cover song or if you are tone deaf like me shaking the maracas or the tambourine. Antonio and Vladi are a fantastic entertaining duo that will get you dancing and singing until the place shuts down. 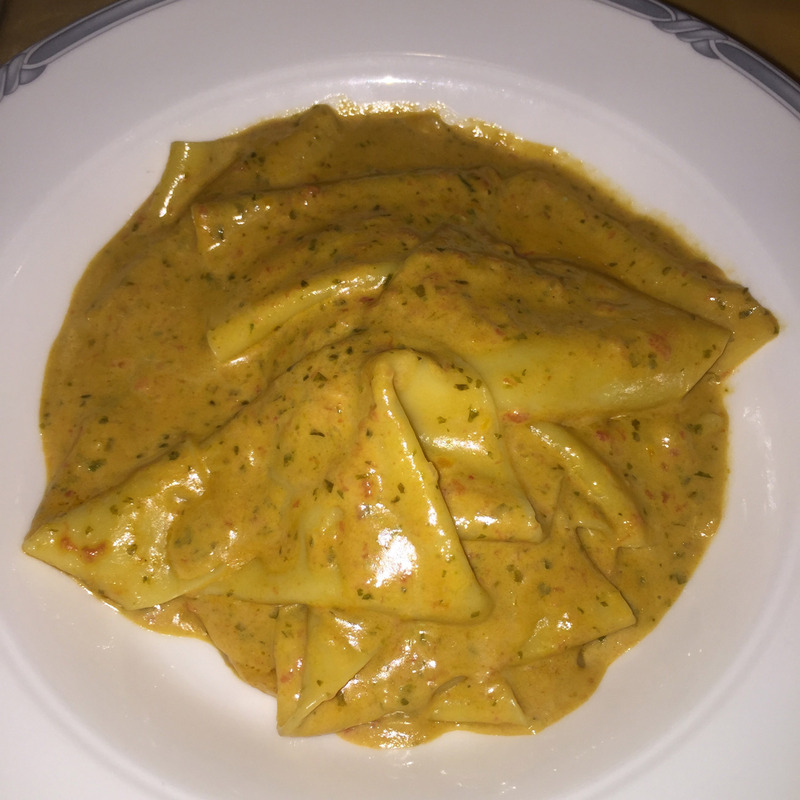 Puny – the best pasta on the island!! Eating here is a MUST and don’t be shy with the pasta… Get at least two and share! My favorites are the puny pasta and the handmade pappardelle pesto mixed with tomato curry sauce. 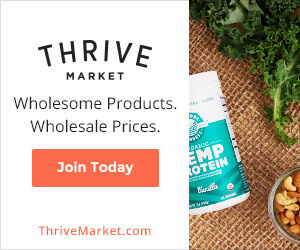 The combination is to die for! Chuflay Restaurant and Bar – located at the Belmond Splendido Mare, the restaurant offers fine cuisine as you watch the yachts come into the harbor. Piano music fills the air and the pianist is super friendly, he will be happy to play any song your heart desires. 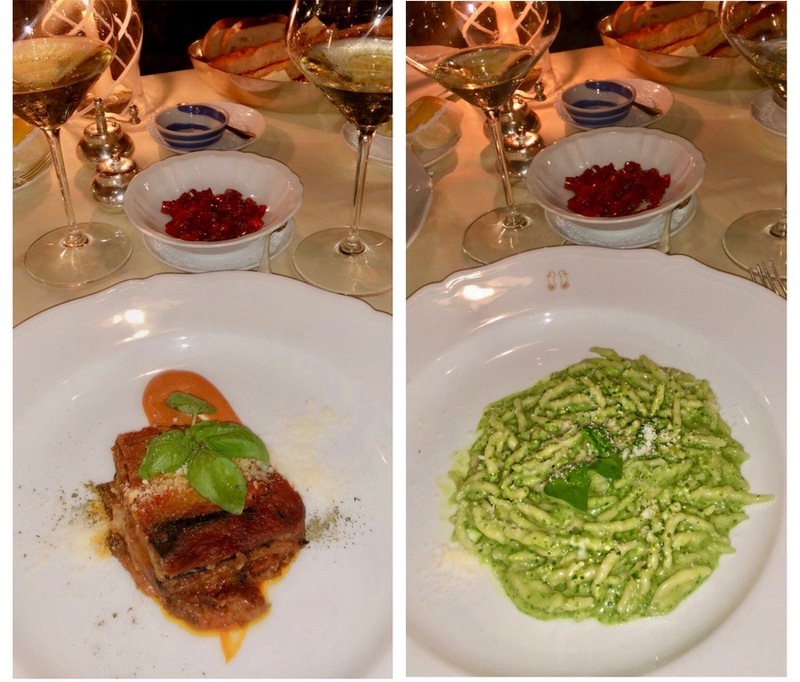 Make sure to try the eggplant parmigiana and the Portofino special pesto pasta – out of this world! 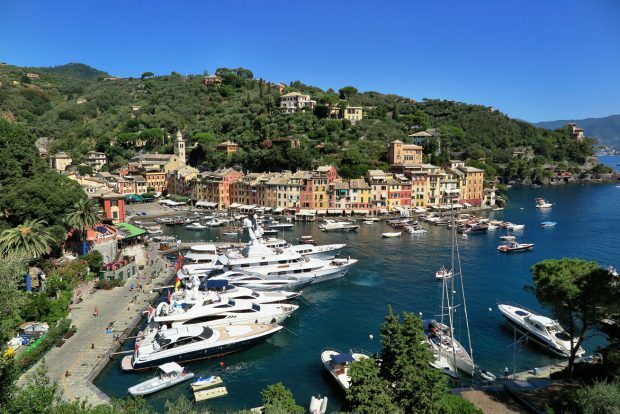 Taverna Del Marinaio – there are two locations of this lovely restaurant one being in Portofino and one in Santa Margherita. Both are excellent and located right by the sea. 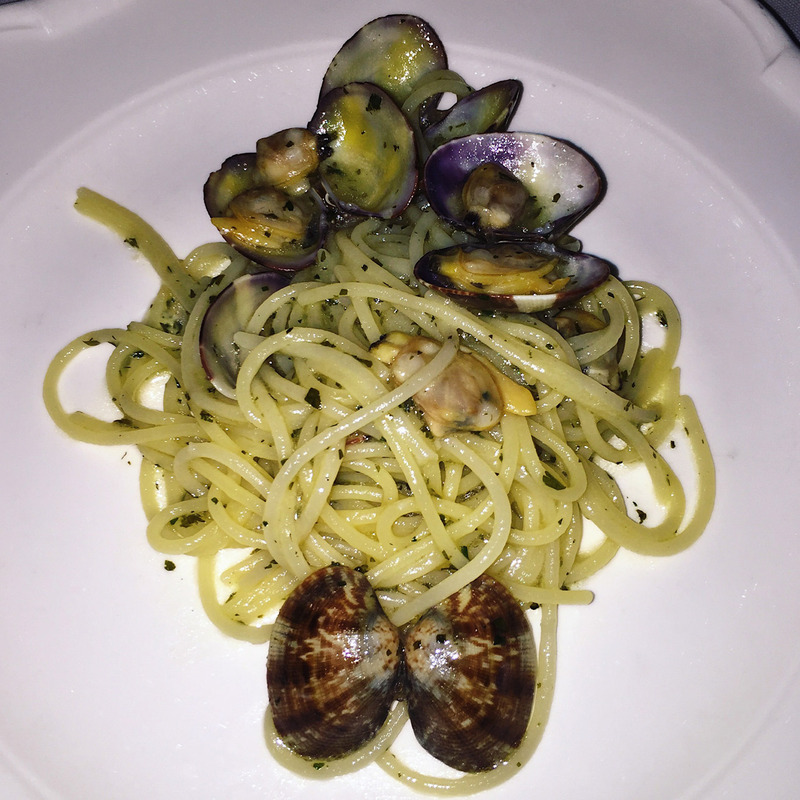 The spaghetti alla vongole is excellent! O Magazin – small local restaurant overlooking the turquoise waters. Ask for a table by the waterside so you can enjoy a nice summer breeze during dinner. If you head for dinner in Santa Margherita stop at Sabot for pre dinner drinks. They have a great selection of wines and the venue is overlooking the marina.